The commercial real estate industry honored 16 commercial properties with The Outstanding Building of the Year®(TOBY®) Awards at the Building Owners and Managers Association (BOMA) International’s annual conference, the 2018 BOMA International Conference & Expo in San Antonio. The TOBY Awards are the commercial real estate industry’s highest recognition honoring excellence in commercial building management and operations in specific categories of building size or type. To win an International TOBY Award, a property first must win both local and regional competitions. Judging is based on community impact, tenant and employee relations programs, energy management systems, accessibility, emergency evacuation procedures, building personnel training programs and overall quality indicators. A team of expert industry professionals also conducted comprehensive building inspections. This year’s program featured the debut of two new categories: Mixed-Use and Public Assembly Building. In the Mixed-Use category, the winner is NOVA project Ponce City Market in Atlanta. The property is managed by Jamestown Commercial Management Company and owned by Jamestown PCM Master Tenant LP. 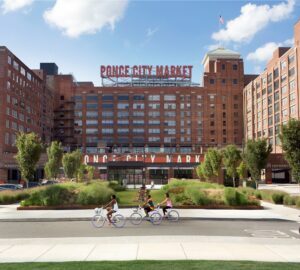 Ponce City Market also is a BOMA 360 Performance Program building. Congrats Ponce City Market!